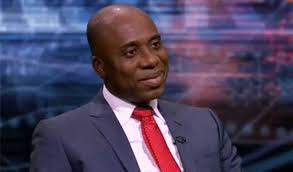 The Minister of Transportation, Rotimi Amaechi, says that Itakpe-Ajaokuta-Warri rail project is about 80 per cent completed and will be ready soon. Mr Amaechi, disclosed this during the inspection tour of the Itakpe-Ajaokuta-Warri rail line in Agbor. Mr Amaechi stated that the government had no apology when it comes to borrowing to fund infrastructure in Nigeria. Speaking, Fidet Okhiria, the Managing Director, Nigeria Railway Corporation (NRC), said that by September the train operation would commence to maintain the tracks. “It is possible to operate now with one train, as far as we have communication signals and for the stations, some will be completed in August, some September, but we are not going to wait for that or else the tracks will go bad, so as a train operator, we will not wait,” Mr Okhiria said. Chiedu Nwazojie, the Project Manager of Itakpe-Warri Railway Project, said that the project has a total of 12 stations but they are presently working on eight stations. He, however, complained that the progress of work is being affected by the rainy season, stating that the initial August dateline might not be feasible.